This American valentine is in the style of a banknote. The writing reads: I promise to pay Miss Charlotte Lloyd on Demand the homage and never failing devotion of sincere affection. 1847 Feb 14th Hymen's Temple. 14 Feb 1847 For the Gov. and Comp. 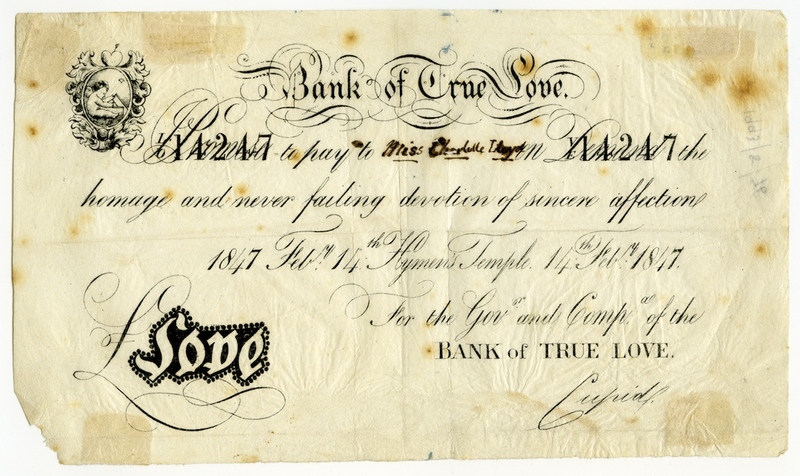 of the BANK of TRUE LOVE. Cupid.